I had made fun of this movie every time a trailer came on and I was pretty deadset against seeing it. But when the weekend came around and nothing else was really coming out this weekend, it looked more and more promising. Plus, I have AMC A-List now so I get three free movies a week, including this one that was showing in IMAX! We follow billionaire Morris (Rainn Wilson) as he visits an underwater science center that he’s been funding, spearheaded by Zhang (Winston Chao) and his daughter Suyin (Bingbing Li), whose own eight-year-old daughter is also onboard (played by Shuya Sophia Cai). Well, things go a little sideways when an expedition discovers a new layer of ocean that hides some gigantic beasts, including the title character, the Megalodon. 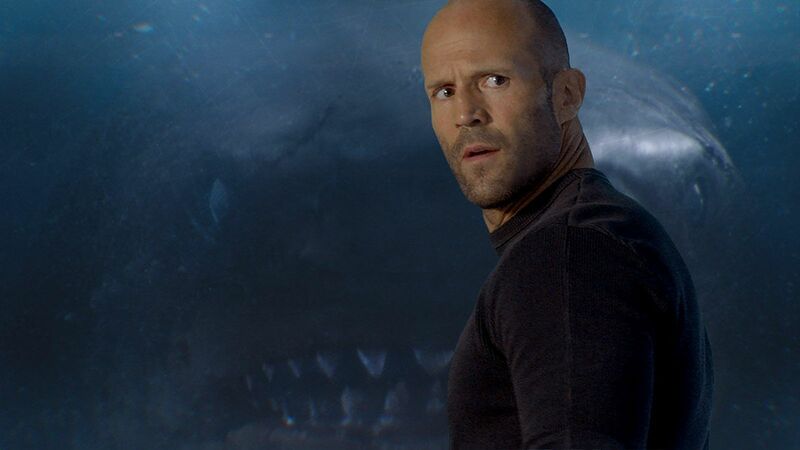 They call in the only survivor of a Megalodon attack, Jason Statham. Other folks on this adventure include Ruby Rose, Cliff Curtis, Page Kennedy, and Jessica McNamee. Let me come and say this first. This isn’t a good movie but it’s super entertaining. Jason Statham is perfect here, over the top in just the right ways. When he somehow manages to narrowly avoid death, it’s always done with style. The rest of the cast all do a serviceable job to get from action sequence to action sequence. The other standout is eight-year-old Shuya Sophia Cai who is super adorable and adds some lightness to the movie. This movie surprisingly has some great jumps and twists. If you want something over the top that will keep you guessing, this is totally that movie. It’s unpredictable because it’s buckwild and you never know what’ll happen next. It’s not really a scary movie but there are plenty of jump scares, as (somehow) this giant shark keeps sneaking up on people. It’s also a hilarious movie, though in most cases it’s not intentional. It’s funny because of how corny the dialogue is, how some of these deaths occur, and generally the absurdity of this movie. But that’s why most of you will see this movie, you’re not expecting Oscar-caliber work here. 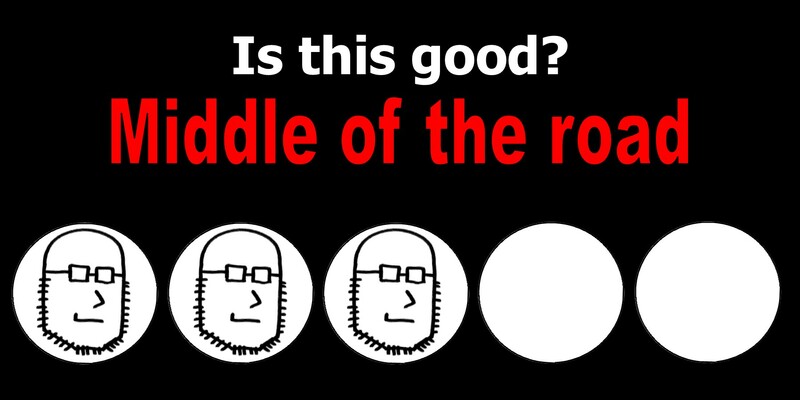 If you somehow are expecting an actual, decent, well-made film… Obviously this falls short. You’ll be laughing from the dialogue but you’ll be having a great time doing it. Technically, it feels like a straight-to-DVD or SyFy original movie. The effects are just good enough to not distract you, but they won’t win any visual effects awards either. I don’t know how else to say this. This movie is absurd. It’s ridiculous, in its plot and writing and dialogue, everything. 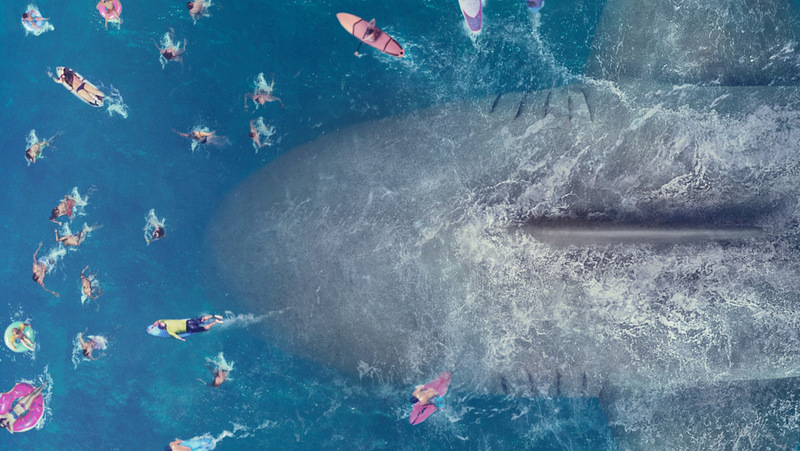 There are moments that the Megalodon doesn’t murder everyone and you’re like “Wait, why did it…” and then you realize because this needs to be a full-length movie, otherwise the shark would have killed everyone in the first 10 minutes. Logic and common sense go out the window here. Here’s the thing. This movie isn’t good but many of you, if you were giving out stars for how much you enjoyed this movie, would give it 5 stars. It’s a blast, mostly because it’s so bad. If you want to head to the theater, get some snacks, and have a blast laughing at a bad movie but simultaneously have a few good jump scares and some vicious deaths, this movie might be just for you. 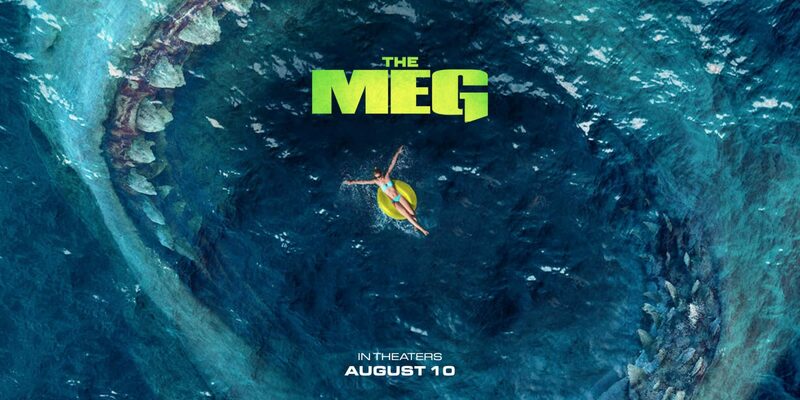 This entry was posted in Uncategorized and tagged adam ryen daniels, bingbing li, cliff curtis, i am your target demographic, iaytd, jason statham, jessica mcnamee, meg, megalodon, movie, movies, page kennedy, rainn wilson, ruby rose, shark, shuya sophia cai, the meg, winston chao. Bookmark the permalink.